To this day there have been 12 sessions of the ICfD course (10 English sessions and 2 French sessions) and many others will take place as long as there will be a need for training in this area. 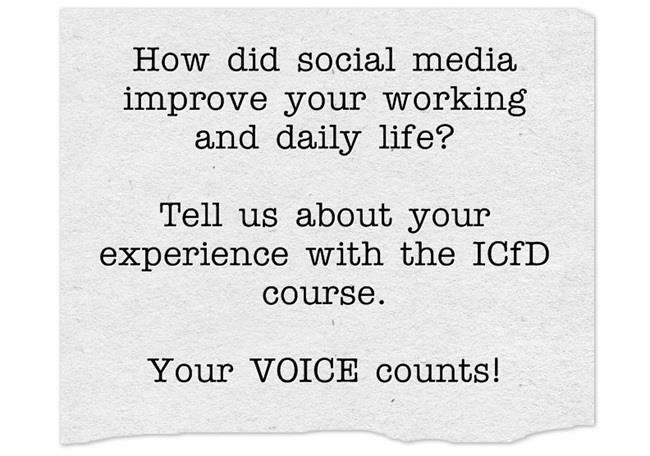 Over these 12 training sessions, the ICfD course has helped more than 300 participants from all over the world in acquiring and sharing knowledge on Social Media and Web 2.0 tools. 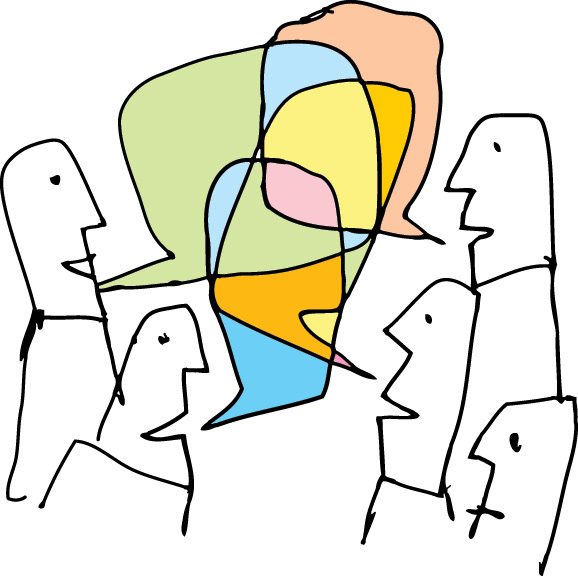 The “ICfD voices” blog aims to highlight the human dimension of this community of development professionals through the means of storytelling. It is a collection of stories about the alumni’s online and real-life progress and new experiences after having completed the ICfD course. I want to publish my story: what do I need to do? If you are an ICfD alumni, write a brief paragraph about the results you have achieved after your participation in the ICfD course. Take inspiration from the other testimonials already published on the blog and don’t be shy! Whenever you are ready, send your story and a picture of yourself to icfd@unitar.org. We can’t wait to read your story!